Cecil County Plans and Permits has adopted the Current IECC Codes since August 01, 2010. Unless using IRC Code prescription methods as described in the current IECC Code book, the building owner must submit a REScheck report. This report is required for new home construction and new residential additions. The IEEC Energy Code has been around a whole lot longer than August 01, 2010. Amorin Ink, Incorporated has been very familiar with these reports and requirements. Since the demand for these reports has increased due to local building code requirements, we have become very efficient in compiling such reports. With your Energy Code Report package you will receive two (2) sleeved cover booklets along with two (2) panel data stickers for job sites. Clients have the option for emailed reports sent directly to the Building Code Official. The REScheck materials have been developed to simplify and clarify code compliance with the Model Energy Code (MEC), the International Energy Conservation Code (IECC), and a number of state codes. The REScheck residential compliance materials offer two ways to demonstrate compliance: the trade-off approach and the prescriptive packages approach. The REScheck software simplifies energy code compliance by automating the trade-off calculations for this approach. REScheck includes the following state-specific energy codes: Arkansas, Georgia, New York, Vermont, Wisconsin, and Pima County, Arizona. The REScheck-Web online code compliance tool can also be used to show compliance using the trade-off approach. It performs just like the desktop version but requires no download or installation. REScheck-Web can be used in states that require the MEC/IECC as their energy code for residential buildings. The REScheck Package Generator is a web-based application that allows you to generate your own code-compliant insulation and window packages rather than following pre-defined prescriptive packages. The 2009 IECC residential prescriptive requirements are provided in a county drill-down map. The 2009 IECC is the residential code that must be met in order to qualify for federal stimulus tax credits. The COMcheck materials (software, manual code compliance, and reference guides) simplify and clarify commercial and high-rise residential energy code compliance. Forms and checklists are included for documenting compliance. The COMcheck software simplifies energy code compliance by offering a flexible computer-based alternative to manual calculations. The COMcheck-Web online code compliance tool is the web-based version of the COMcheck desktop software. It performs just like the desktop version but requires no download or installation. The COMcheck Prescriptive Package Generator is a web-based application that allows you to generate your own code-compliant insulation and window packages rather than following pre-defined prescriptive packages. 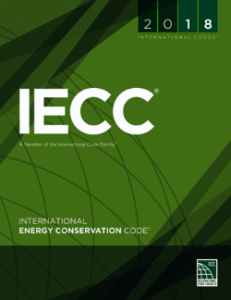 Categories: IECC Codes. Bookmark the permalink.